1) What is your company’s name, and what do you do? IKEA Delft is a home furnishing company which sells everything to make your house a home under one roof. 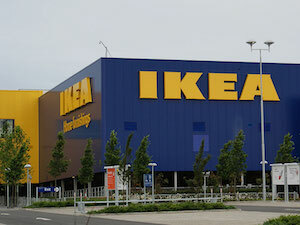 The overall social ambition of IKEA’s vision is to create a better everyday life for people. We strive to achieve this by offering a wide range of well-designed, functional home furnishings at prices so low that it allows as many people as possible to be able to afford them. Women can be the most important catalyst for change in their children’s lives. They often spend much of their own income on nutrition and shelter for their children, so that they may enjoy better health and are more likely to stay in school. By empowering women, through education, skills training, improved healthcare, or providing a loan to set up small businesses, we can improve children’s health, education, and future opportunities. By supporting TEDxDelftWomen, IKEA Delft wants to contribute on a local level to the empowerment of women and girls. IKEA has set up a foundation to help achieve this goal. TEDxDelftWomen is about the power of women and girls to be creators and change-makers. IKEA believes that by empowering women and girls we can improve the lives of children now and for the future. We engage the local community by inviting people and companies to contribute whatever skills, goods or funds they are able to share. It is our belief that the TEDx concept is such an inspiration to so many people because its partners contribute whichever they are good at. If you feel you or your company can relate to TEDxDelftWomen do not hesitate to contact us.